Often visible from Kathmandu city centre, the Langtang range offers about the most accessible trekking in Nepal. If the city pollution and traffic wasn’t so off-putting you could start walking from your guesthouse straight to the mountains. This accessibility, easy-to-follow trails and lots of lodges has meant Langtang has always been, alongside Everest and Annapurna, one of the big three independent trekking areas. The 2015 earthquake caused massive damage and loss of life in and around the Langtang Valley. The beautiful stone wall village of Langtang was buried under a huge avalanche. Today, all the trekking areas have re-opened and once again there are lodges along the routes. But the reminders of the disaster are still there. Where there were yak pastures, pine forests and the village itself, there is now a grey wasteland of rubble stretching for at least two kilometres. But don’t be put off. This is a beautiful area to trek with high Alpine pastures, rewarding side trips, holy lakes, stunning mountain views, cultural interactions, relatively few other trekkers, and easy and cheap access with no internal flights needed. And the local people desperately want trekkers to return to help them rebuild their lives and their businesses. The Langtang trek is a fantastic place for those with limited time, with the shortest routes taking just a week (or even slightly less) including travel time from Kathmandu. There are also many ways of combining treks to create routes lasting several weeks. The Langtang area has it all. 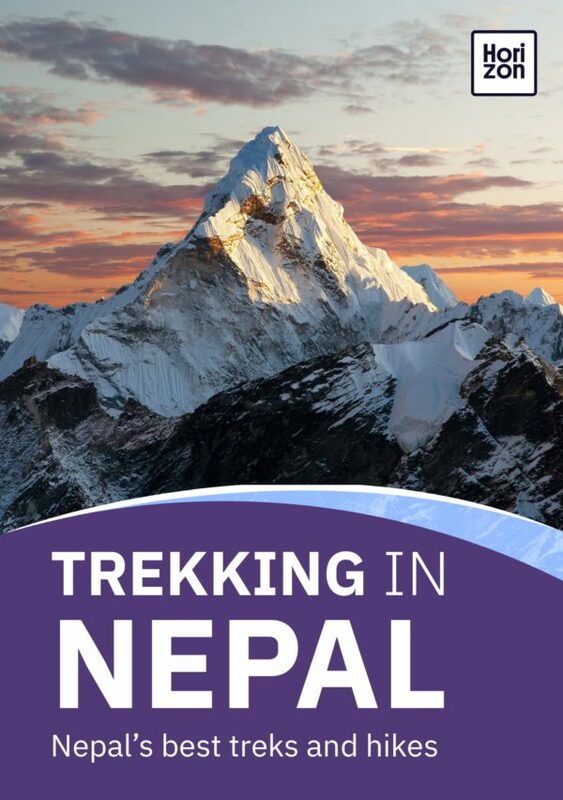 Start walking from Kathmandu and before you know it, find yourself in a tranquil mountain village, breezing through flower meadows, picnicking in the shade of pine trees, crossing rushing rivers, and a snowbound pass, and standing atop a minor Himalayan peak. The small village of Kanjin Gompa (3,860m) at the head of the Langtang Valley, might be the official end point of the Langtang Valley trek but in truth this is where the fun really starts. Numerous day and overnight trips fan out from the village. You can make the almost obligatory hike up to the Kyanjin Ri viewpoint (4,600m) for sensational views, or have a rollicking day’s adventure to the glaciers and yak pastures of the Lirung Valley. A bigger challenge is the long and exhausting day trip to the Tsergo Ri viewpoint at 4,984m, or, for the adventurous, an overnight camping trip to the summit of Yala Peak, which at 5,500m often requires ropes, crampons and an experienced guide. The holy lake of Gosainkund (4,400m) has a black rock sticking out of it that Hindus believe is the head of Shiva, and the lake attracts scores of Hindu pilgrims particularly over the August full moon. Like any good pilgrimage the trek to Gosainkund is a challenging one involving a high pass crossing and memorable scenery. Once at the lake there are a number of side trips to other lakes and high viewpoints. Helambu and the Tamang Heritage Trail offer a delightful combination of mountain views and pretty villages. The latter offers a real insight into local life thanks to an exciting tourism-based community initiative in which trekkers can stay as guests in village houses, and traditional dances and events are laid on. Both these treks are (for the Himalaya) fairly low level with little risk of altitude-related problems. Although much of the physical rebuilding after the earthquake is complete your presence will put money into the local communities and help rebuild the area’s vital trekking industry. The Langtang area offers the most accessible trekking in Nepal. Take a taxi across Kathmandu to the Shivapuri National Park and start walking the Helambu Circuit within an hour of leaving your guesthouse. If you’re heading straight to the Langtang Valley, Ganesh Himal or Tamang Heritage Trail, a day’s bus ride from the city will get you to the trailheads. Don’t think that because the Langtang region is so popular there’s no adventure left. Grab some tents and a guide in Kanjin Gompa (or bring them from Kathmandu) and walk for a day or so further up the Langtang valley to Langshisha Kharka and towards the Langtang glacier, and you’ll feel as if you have the Himalayas all to yourself. The nearby Ganesh Himal is perhaps the most overlooked range in the Nepalese Himalayas. You could trek here for days without meeting another foreigner. Before the earthquake, this was one of Nepal’s most popular trekking routes. The trails have been repaired or re-routed and trekking lodges reconstructed. And despite the obvious damage this is still one of the most delightful walks in Nepal. The basic trek takes eight days including travel time from Kathmandu, but add in another couple of days for side trips from Kanjin Gompa. The standard route follows the Langtang River up a steep and narrow valley. On day two the trail passes over the rubble fields under which Langtang village is buried and on day three the valley opens out to arrive at Kanjin Gompa and big views of Langtang Lirung (7,246m), Langtang II (6,581m) and, perhaps the most distinctive mountain in the valley, the pyramid shaped Mt Gangchempo (6,387m). Kanjin Gompa can be a base for many different day and overnight side trips. Most people go back the way they came but with more time it’s possible to link up with the Gosainkund and Helambu treks. Difficulty: Moderate. The trail climbs quite rapidly so there is a risk of altitude sickness. Trek Duration: 6 days from Syabrubesi but allow another 2-3 days for side trips from Kanjin Gompa. Accommodation: Trekking lodges. Camping required for any overnight trips beyond Kanjin Gompa. The most popular add-on to a Langtang Valley trek, and a fantastic short trek in its own right, is the haul up through pine forests where red pandas are known to live, to the Hindu holy lakes of Gosainkund. Although you don’t come face to face with the high mountains, you do get grandstand views of the Langtang and Ganesh ranges and you cross the often snowbound and quite challenging Laurebina La (4,610m). There are a number of different approach routes to Gosainkund but to acclimatise it’s best to do the Langtang Valley trek first, then from close to the teahouses of Doman cut across to Gosainkund and descend back to Kathmandu via the Helambu Circuit. Some people go directly to Gosainkund from Dhunche but the elevation gain is great and altitude sickness is common. Starting from Helambu and walking to Gosainkund is a long uphill drag that also invites altitude problems. Trek Duration: Minimum 8 days depending on route options. Accommodation: Fairly simple trekking lodges. The closest trek to Kathmandu – it starts from the northern outskirts of the city – takes you on a fairly gentle amble through terraced fields, wild forests, flower meadows and through lots of little villages with views of the mountains never far away. Despite their proximity to Kathmandu the trails are delightfully quiet. You can make an enjoyable week-long circuit (a good option for those with little time and/or trekking experience) but most people choose to use Helambu either as a walk in or out route to Gosainkund and the Langtang Valley. The highest point reached on this trek is 3,640m so it can be done as a mid-winter trek when higher routes might be snowed in. Trek Duration: 7 days but increasing road accesses means you can cut the trek short at a number of points and bus back to Kathmandu. This route aims to highlight the culture of the Tamang people as much as the mountain scenery. It’s a real community project with money generated from trekkers going into local development projects and trekkers being hosted at night by families in their village houses. It’s quite likely that at some point along the trail you will be entertained with traditional dance. The trail starts from Syabrubesi and is a five to six-day loop close to the border of Tibet. Highlights are the pretty Tamang village of Gatlang, the hot springs at Tatopani, and the fine mountain views over the Ganesh and Langtang range from Nagthali Ghyang. The highest point is 3,300m so this is a good mid-winter trek when higher routes might be snowed in and it also suits those with limited time. The Tamang Heritage Trail is very easily combined with the classic Langtang Valley trek and for those with more time it’s possible to add in Gosainkund and the Helambu treks to make for a truly rewarding three weeks of hiking. Villages here were badly hit by the earthquake, but most of the damage has been repaired and all trails are open. Trek Duration: 5 to 6 days. The most challenging and dangerous trek by far in the Langtang region is the crossing of the high (5,106m) Ganj La pass which links Kyanjin Gompa at the head of the Langtang valley with Tarke Ghyang on the Helambu Circuit. This should only be attempted by very experienced trekkers with a good support team. You will need camping equipment, a guide who knows the route well, ropes, ice-axes and crampons. There are no facilities along the route. Note that the pass is, at best, only open between October and November and March to May but even during these months it’s more often than not snowbound and impassable. Make sure you have a back-up plan in case the pass is closed. Avalanches are a very serious risk on the approach to and from the pass. Difficulty: Very strenuous and dangerous. People have died attempting this crossing. Trek Duration: 4 days from Kyanjin Gompa. Named after Ganesh, the elephant-headed Hindu God of fortune, Ganesh Himal lies directly between the Manaslu and Langtang ranges, and is one of the great unknowns of Nepalese trekking. With stunning mountain scenery, attractive and welcoming villages, hot springs, waterfalls and a genuine sense of being well off the beaten track, the Ganesh region really has a bit of everything – except crowds of other trekkers. A handful of homestays and trekking lodges have started to open up, but for now you’re still likely to have these trails all to yourself. And because formal accommodation is still so scarce an organised camping trip is the best way to tackle this trek. There are a couple of different trekking routes in the Ganesh region which you can access from Manaslu and the Tsum valley in the west, but the standard (such as it is) trail starts from Syabrubesi and follows the Tamang Heritage Trail to the gorgeous village of Gatlang before crossing the Pansang La pass (3,842m). Apart from the TIMS card no special permits are required for the treks in this area. The Langtang, Gosainkund, Ganj La and Helambu treks all enter the Langtang National Park for which there is a Rs3000 entry charge. The Helambu trek also enters the Shivapuri National Park for which there is a Rs500 entry fee. The best time to trek the Langtang trails is from October to April. It can get very cold in December and January but lodges remain open and the trails are quiet. In April flowering rhododendron add a palette of red and orange to the slopes. Few people trek here in the monsoon but during the Janai Purnima festival during the August full moon thousands of Hindu pilgrims (including lots of Saddhus and other holy people) make their way to the holy Gosainkund lakes to bathe. This would make for an interesting experience for those who aren’t bothered by the lack of mountain views. The region suffered very badly in the earthquake but all the trekking trails have been repaired and trekking lodges rebuilt, and you need camping gear only if you’re exploring the Ganesh Himal, attempting the Ganj La pass, or heading further up the Langtang valley from Kyanjin Gompa. However, for safety and enjoyment reasons a guide is a good idea on all these treks. Access to this area from Kathmandu couldn’t be easier. Simply hop on a bus in central Kathmandu and by the end of the day you’ll be in Syabrubesi or one of several other trailheads. There is no scheduled air access to the area.